11cm. 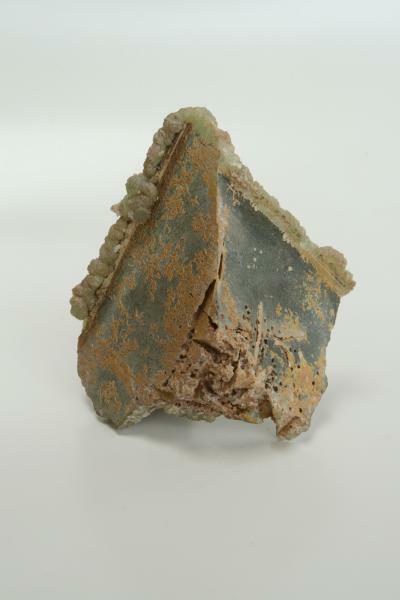 Prehnite from Southbury Ct.. Found in basalt vugs with few points of attachments. Be welcome to this section of the forum and feel free to post all your specimens' photos for all of us to look at them. You might tell everyone not familiar with New England just where the Holyoke trapps are. The Holyoke Trapp, is in the basalt formation that runs from south of Keene, New Hampshire., thru the Connecticut River Valley to connect up with the New Jersey trapp formations. The Holyoke Trapp is the section, in Massachusetts, that includes Mount Tom. I would include the Ron Cari and Lane quarries in this section. 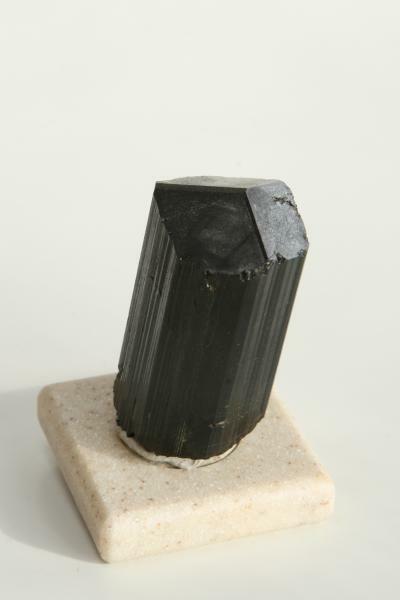 The basalt is of the highest quality-meaning few accessory minerals- making collecting here not generous. 10 cm. 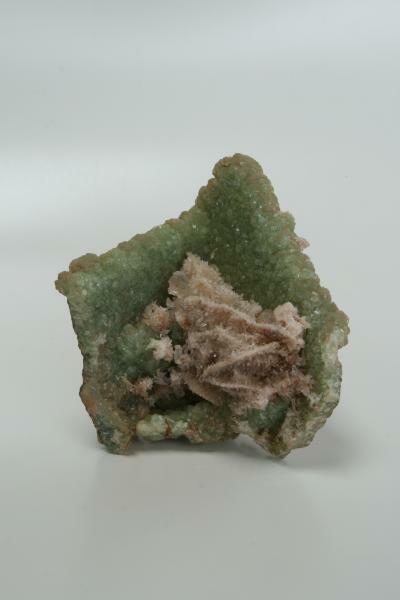 Prehnite with calcite cast after either calcite or anhydrite. 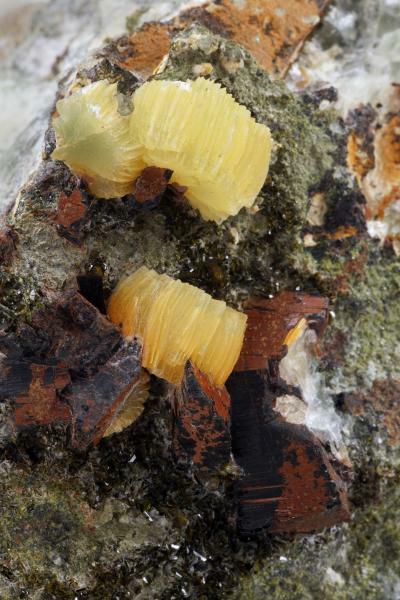 Charles Keys thinks calcite. Nice photos Vic, and welcome! Can you provide dimensions please? Thanks also for posting those, Vic, I enjoyed looking at them. 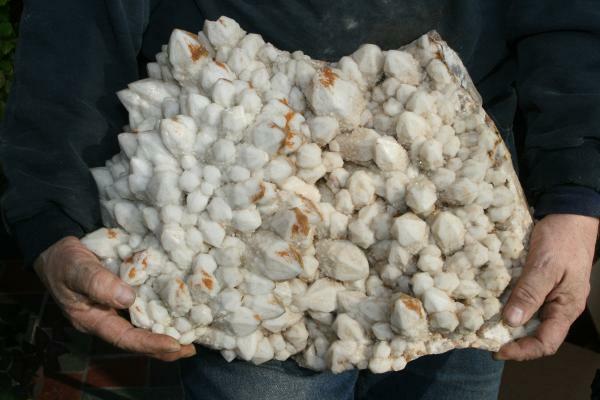 I've always had a special appreciation for those "trap rock minerals", having grown up in New Jersey. When possible, I like to use fingers for scale, ala Scott and his amethyst. Outstanding. Milky quartz from the glory days at Mussup Ct. 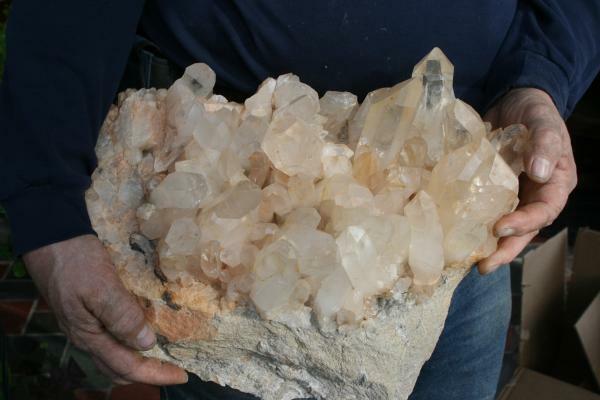 I seem to remember an article on a quartz zone on the east coast,can anyone point me in the right direction? Also, Turbo , did you identify your druzy from the backfill, or the area from which the fill came? 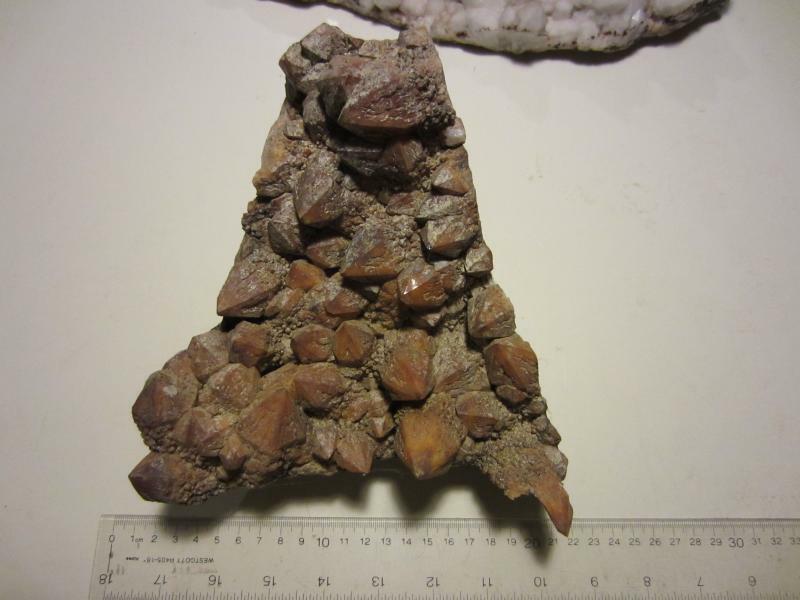 It's about 40 cm wide by 30 cm high by about 40 lbs (ca. 18 kg). The correct location is Moosup, Connecticut. In addition to your fingers (and hands), could you please provide the dimensions in centimeters or inches, or both? There are fingers (and hands) with quite different sizes. And since it is a heavy specimen, its weight could also be interesting for many of us, if you know it. Well it's about 40 cm. wide by 30 cm. high by about 40lbs. The correct location is Moosup, Connecticut. It came out of a very spacious pocket in rather hard brecciated sandstone? I thought it was a schist . Again part of a quartz formation that is sort of discontinuous including location in Rhode Island. Hopkinton, Rhode Island? More fingers and quartz, dolostone matrix. 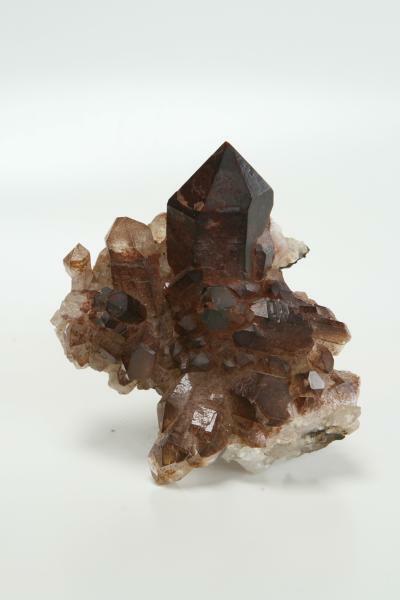 Crystal size is 7x7cm. , from a remote location in Montgomery county NY. 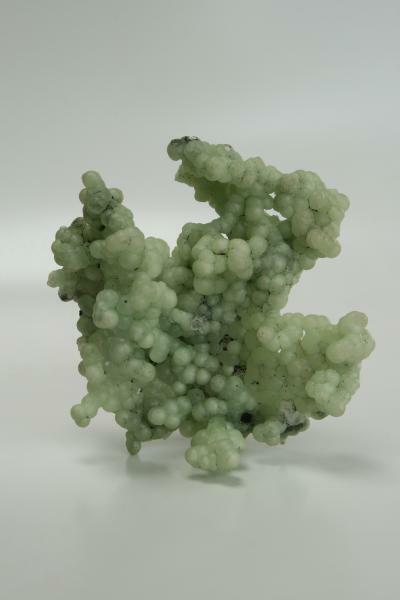 Poor quality photo of prehnite and babingtonite. Field of view aprox. 2x3 cm.. Lane Quarry. 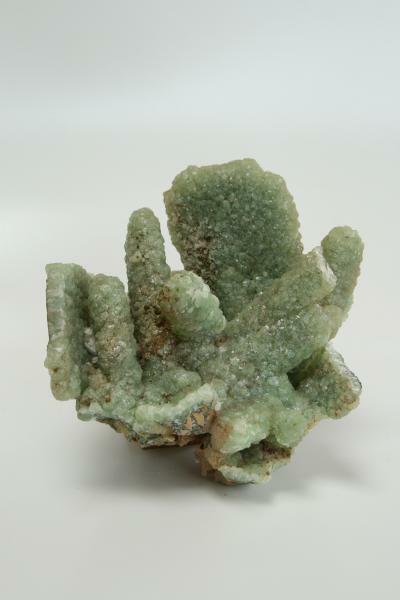 Prehnite stalactites, casts after anhydrite, Lane Quarry, Westfield MA. Another from the trapp rock suite. 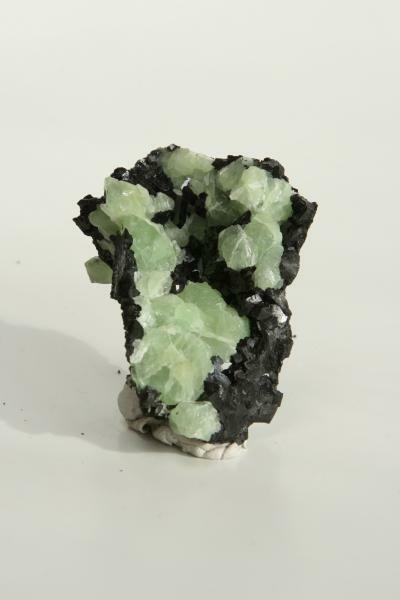 Babingtonite and prehnite, 5x7 cm..
Tourmaline from a small pegmatite in Huntington MA. Old reference says it's the Angel prospect. Some beryl and large feldspar also found, needs more work. I suspect that the druzy is from the area from which the fill came, since I have never seen similar matrix material exposed elsewhere in my neighborhood. The fill material contained granite and serpentine. Turbo, it might be worthwhile to treat the fill as float, and see if you can back trace it to the area/pit it came from. I always take great pleasure in the thrill of the hunt. Many time's a fill site or foundation excavation allows us a look at the hidden geology of an area and any out crop of bedrock should be inspected. Also geologic survey maps should identify the run of the rock, ie. granite, serpentine, basalt ect. in your area, narrowing your search. Remember, they don't usually truck fill to far, so maybe your druzy site is close by. 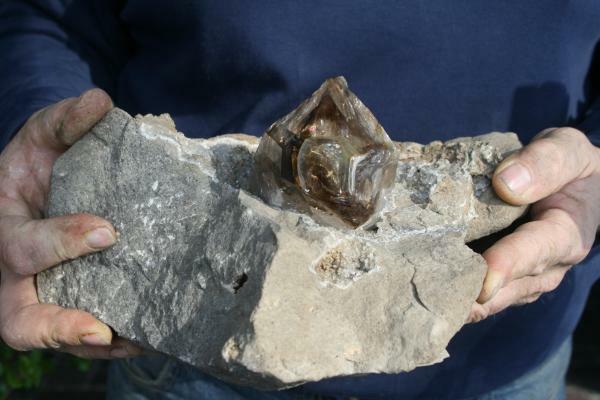 Large, water clear quartz collected at Colemans Quartz Mine. It was found in a house sized boulder dumped by a Euclid onto the flats on top of the dump.